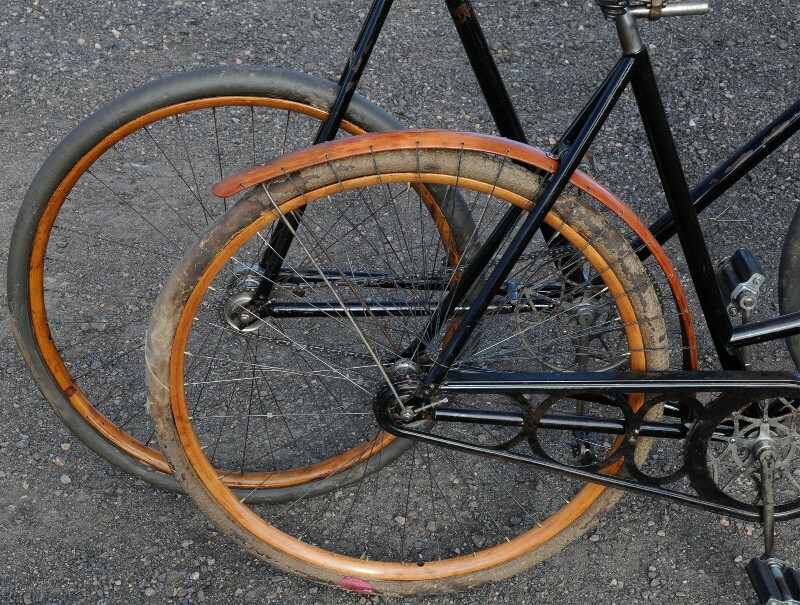 This Lovely Duo is a 1898 Mens and a 1899 Ladies Iver Johnson Wood Wheel Pneumatic Safety Bicycles. These Wonderfully Preserved Gems are some of Iver’s first self badged Iver Johnson Arms & Cycle Works Bicycles built in Fitchburg Mass. 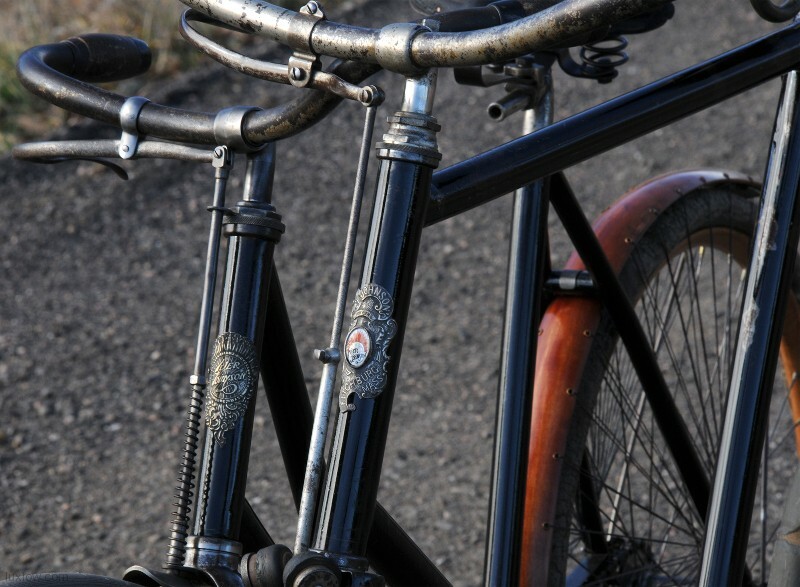 The Iver Quality and Detail on these bicycles is quite exquisite, with jewelry type detail, actually Gun Smith Quality. 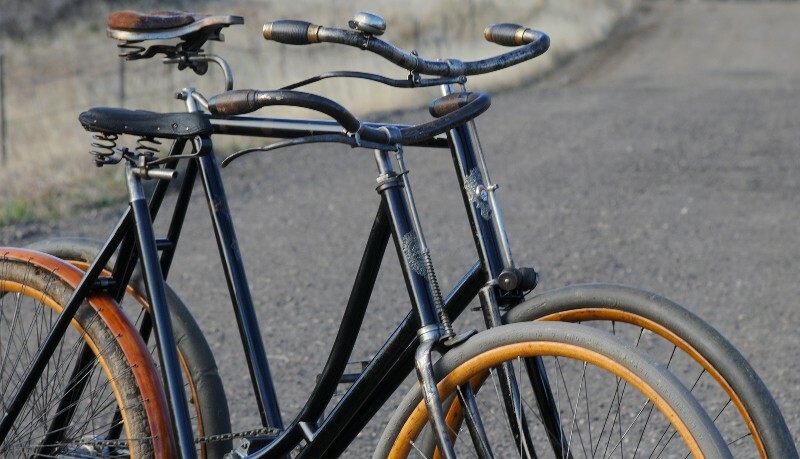 The bikes are consecutive years yet have different design reflecting changing innovation of the early Iver Johnson Bicycles. 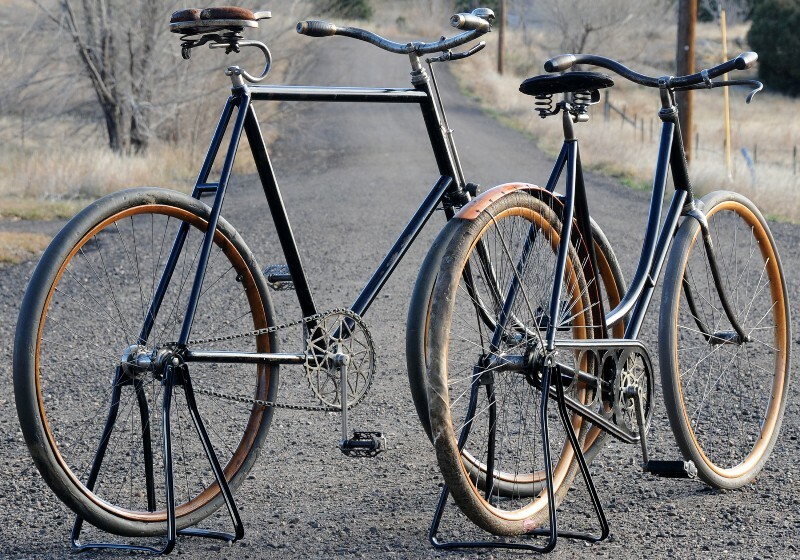 These Gems are Wonderful Representations of Quality Early Safety Bicycles, Let alone the Beginning Iver Johnson Bicycles, and would be a Pinnacle of any Bicycle Collection. 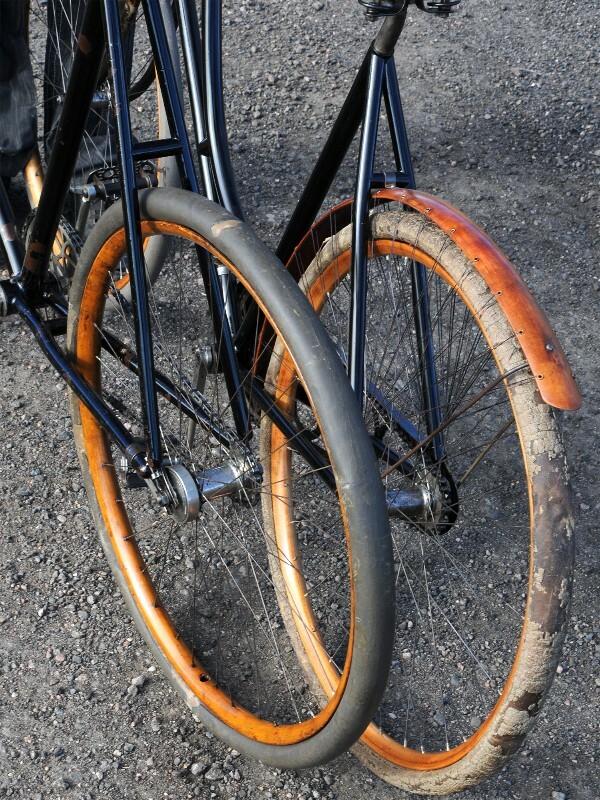 These 100 year old Ivers are real nice for their Age, Restored as found with Patina intact. I will describe each bike and further detail and photos may be found on each bikes individual listing. I will explain what is some of the most interesting and overly designed aspects of these bikes. Both Bikes are Original (as Found) . The Wood Wheels and Original Patina is Beautiful and although they are completely rebuilt, I would say they are more of show pieces than 100 year old Riders. 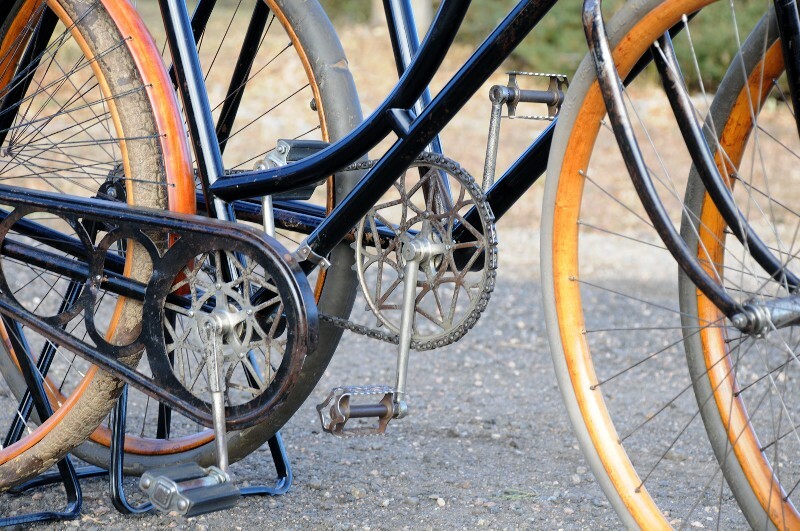 The 1898 Men’s Iver Johnson Bicycle has beautiful wood rims have been resealed, restored, and have been trued as best as possible with the original spokes. 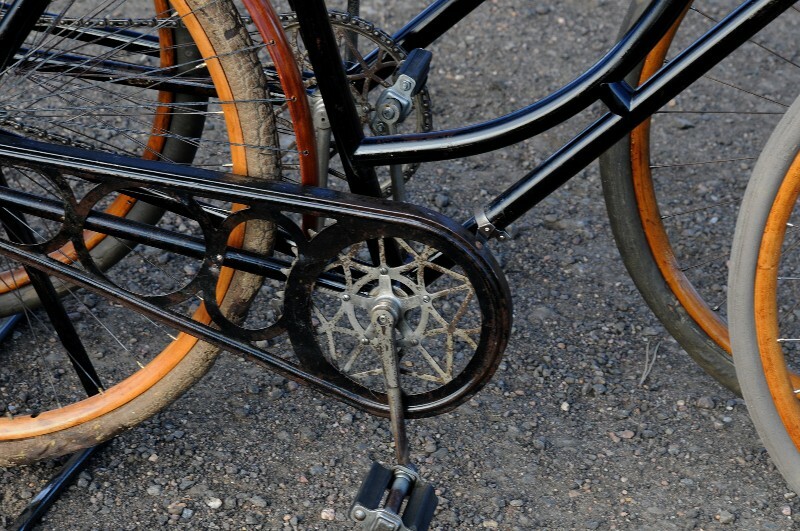 The front hub is an unique oilier hub with screw in dust caps and felt for dust protection, The axle has left and right threading and the cones are keyed to fit with no movement into the keyed fork. 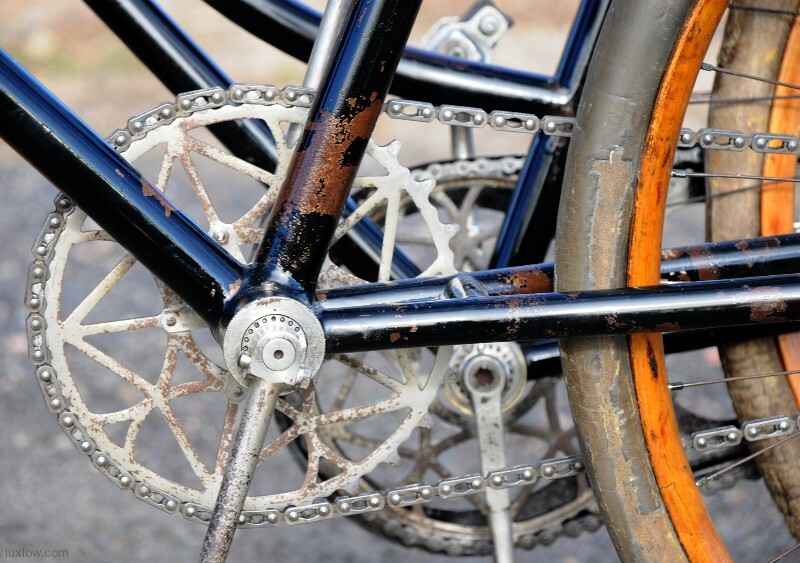 The Amazing Rear Hub is The New Departure Coaster Hub and Brake MFG by P & F Corbin New Britain Connecticut. 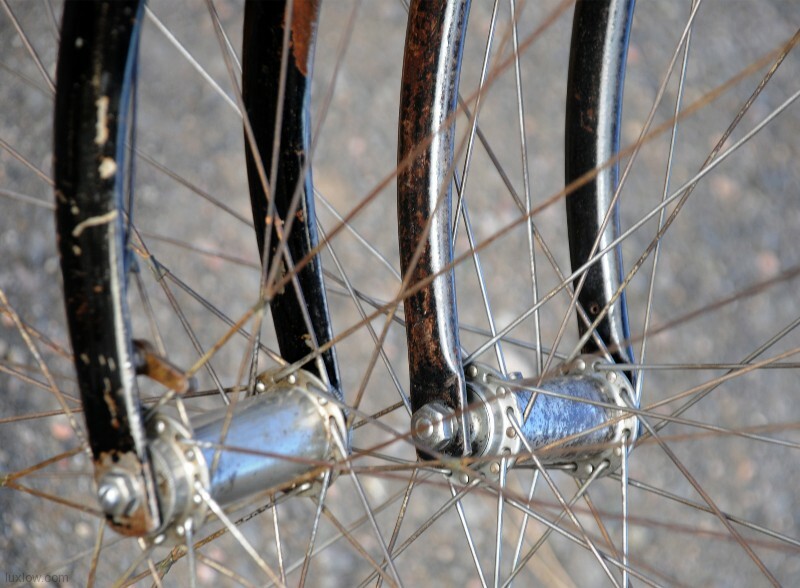 The Tires are Original 28″x 1 1/2″ Iver Johnson Single tube tires made by Hartford Rubber works Hartford Conn. Tires hold Shape but not air. The Chain is a Great early Block Skiptooth chain. Unique Crank and Chainring with screw in Bottom bracket and dust protecting felt, the Cottered Crank arm has a bolted key that locks into the Bottom bracket cones. The Head set has more lock rings than necessary and it also pinches the slotted fork reducing movement on the stem which also has a binder bolt. 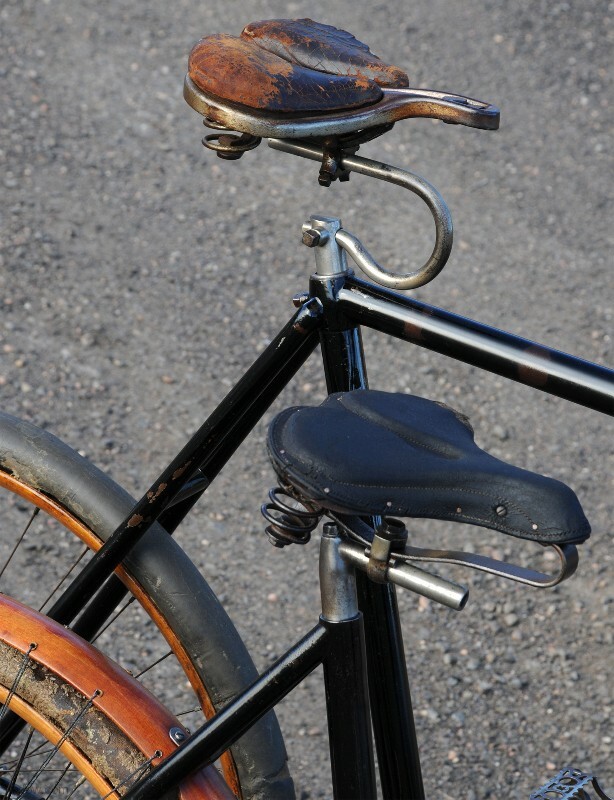 Early handle bars with Leather wound brass ended grips and lovely chiming antique New Departure bell. Unique Early Roller Brake front brake, I suspect this is a add on. She has a Nice Star pedals and an amazing Christy saddle with unique suspension spring seat post. 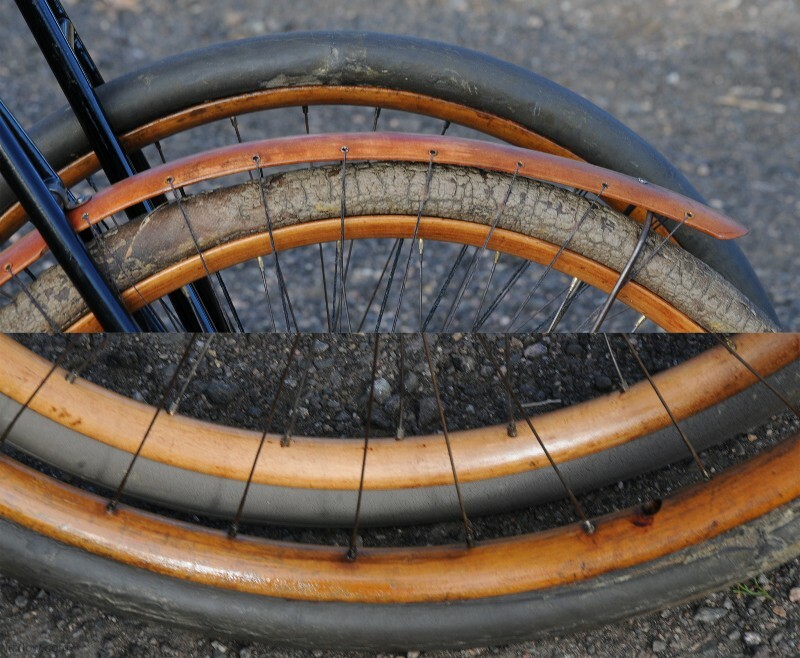 The 1899 Antique Ladies Iver Johnson Bicycle has beautiful wood rims have been resealed, restored, and have been trued as best as possible with the original spokes. 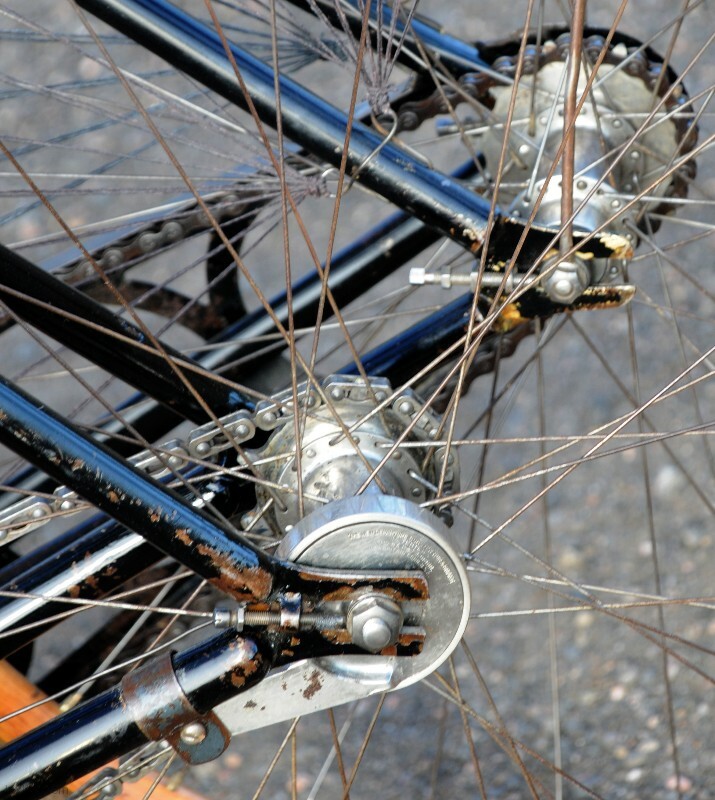 The front hub is an barrel hub that has cones that are keyed to fit with no movement into the keyed fork. The Rear Hub is Early Fixed Gear Hub. The Tires are old 28″x 1 1/2″ Single tube tires, the front is definitely nicer than the rear, tires are patina matched but not the same make. Tires hold Shape but not air. 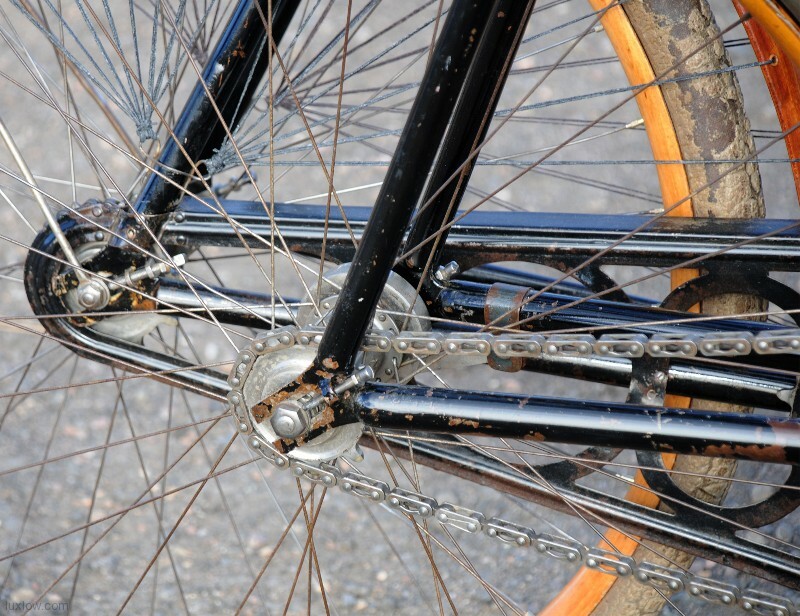 The Bike has a Beautiful Wooden Rear Fender that has Brass eyelets and a Laced Skirt Guard. The Chain is a early Skiptooth and is covered by a Full ChainGuard. The Crank is a Early Iver 2 Piece Split axle Crank with bolt on Chainring, Crank has a long through bolt that holds it all together, the Crank arm has a bolted key that locks into the Bottom bracket cones. 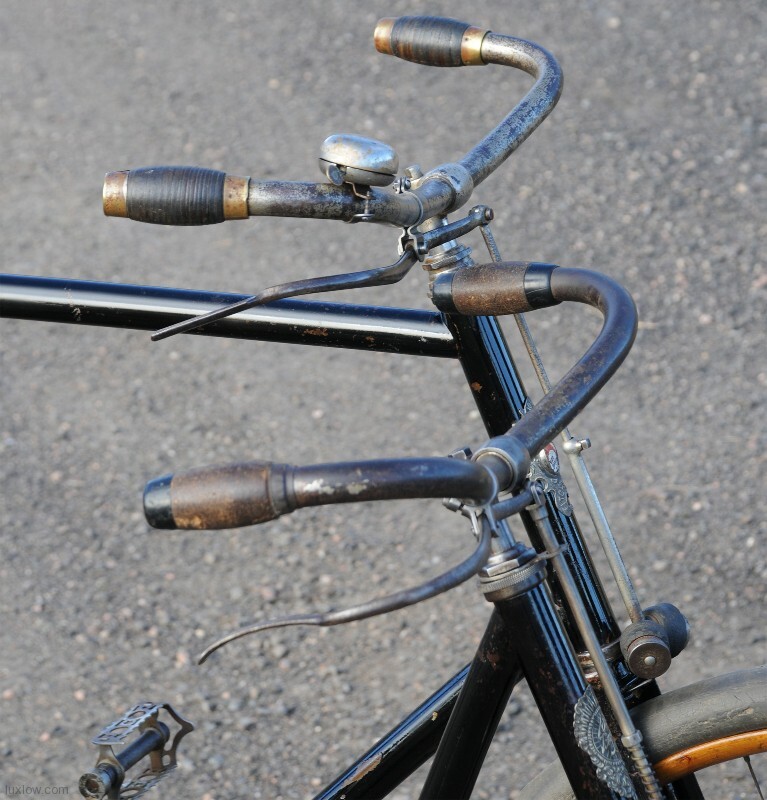 Early handle bars with cork grips and Unique Early Spoon Brake front brake. 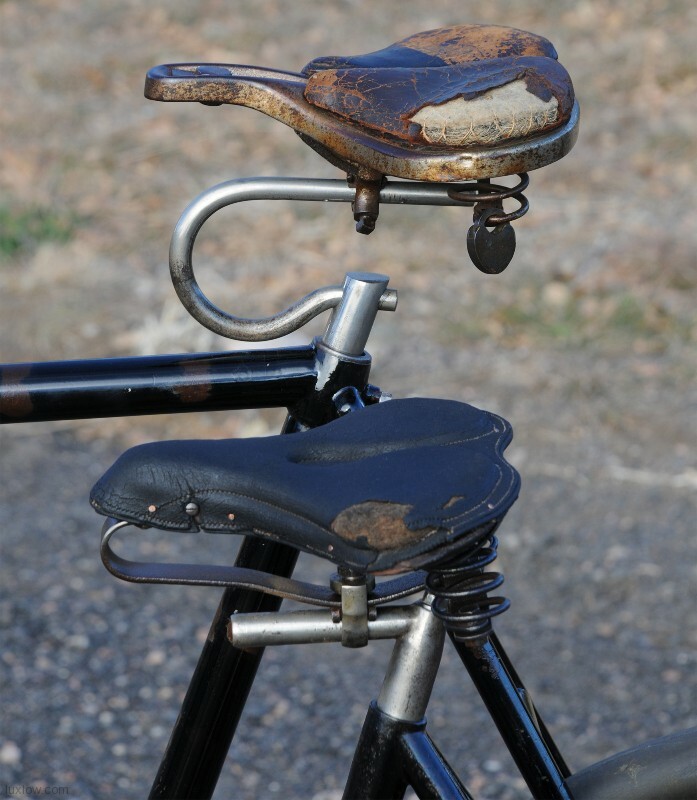 Original saddle patina restored with unique binder bolt seat post. This Amazing Bicycles are Rebuilt, Cleaned, and Sealed. 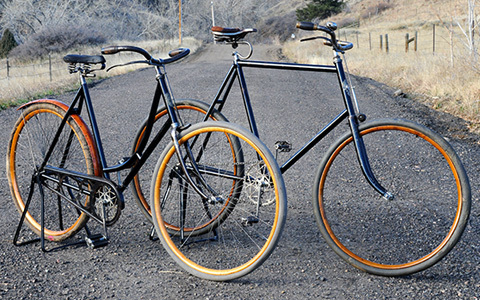 These Bicycles would Be Perfect For a Collection, Conversation or Decoration. 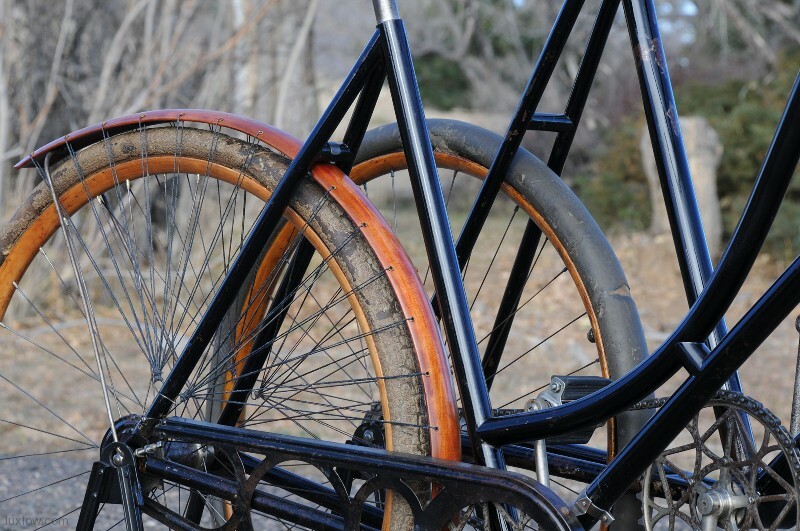 Click here for Details of the Lux Low Vintage Patina Restoration Process on these Bikes. Non Local Sales: You will be billed through Paypal and Shipping is: $300 for both bikes to most of the US. Stand Not Included, but can be purchased with the bike or through our store.